The Rolling Stones have confirmed they will release a new album of blues covers in December. 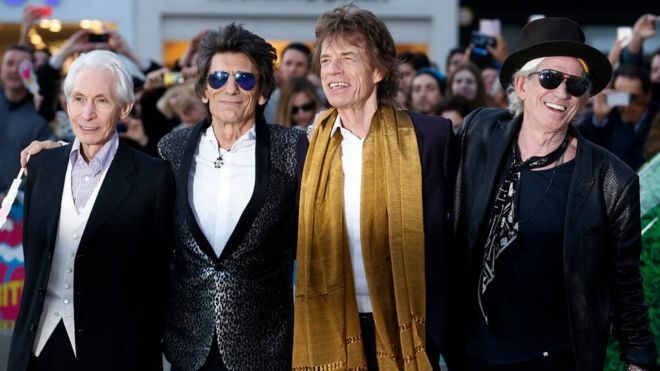 Blue and Lonesome was recorded over just three days in London earlier this year, and features new versions of songs by Howlin' Wolf and Jimmy Reed. Guitarist Eric Clapton also features on the record, having dropped in to the sessions while he recorded his own album in the studio next door. The Stones haven't released a studio album since 2005's A Bigger Bang. The last time they premiered original material was on the 2012 compilation record Grrrr! - which featured two new songs, One More Shot and the single Doom and Gloom. The band first revealed their plans to release an album of covers in April. "We're actually in the studio in the moment cutting new stuff," Keith Richards told BBC 6 Music, while guitarist Ronnie Wood said that the band had "cut 11 songs in two days, just 'bang' - like that." Among the tracks on the new album are Little Walter's Just Your Fool, Everybody Knows About My Good Thing by Little Johnny Taylor and I Can't Quit You, originally written by Willie Dixon and made famous by Otis Rush. "This album is manifest testament to the purity of their love for making music, and the blues is, for the Stones, the fountainhead of everything they do," said Don Was, who co-produced the new recordings. It will be released on 2 December by Polydor Records, with pre-orders beginning on Friday, 7 October.